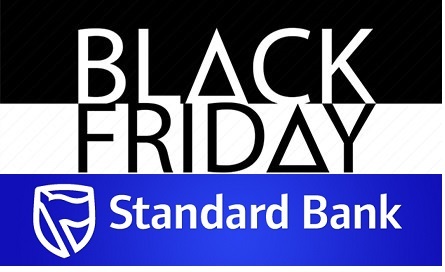 Standard Bank Black Friday 2018 - Standard Bank Business will offer South Africans something special on Black Friday. Standard Bank expects retailers to experience another bumper Black Friday weekend this month, despite consumers feeling the pinch from all-time-high petrol prices and a one percentage point increase in VAT. The bank’s transaction volumes on its credit and debit cards rose more than 100% during the 2017 Black Friday period – compared to the same period in 2016. Its data shows that while 90% of sales still take place face-to-face at merchants in South Africa, this is changing fast as consumers seek out deals at virtual stores like Takealot, Makro and Pick n Pay. Looking at Black Friday transactions in 2017 specifically, Standard Bank said consumers are buying more online services and electronic goods than ever, with sales on Netflix, iTunes, Uber, travel tickets and online purchase at Takealot all increasing on the day. Sales of big-ticket items like flat-screen TVs, fridges, laptops, cameras, iPhones, new Android models, smart watches also all saw a decided increase year-on-year. Running shoes were also one of the most sought-after items last year, the bank said. Another noticeable trend is for more people to do their Christmas shopping in November by snapping up deals on Black Friday, rather than waiting for a mad rush ahead of Christmas when most products are likely to be sold out.